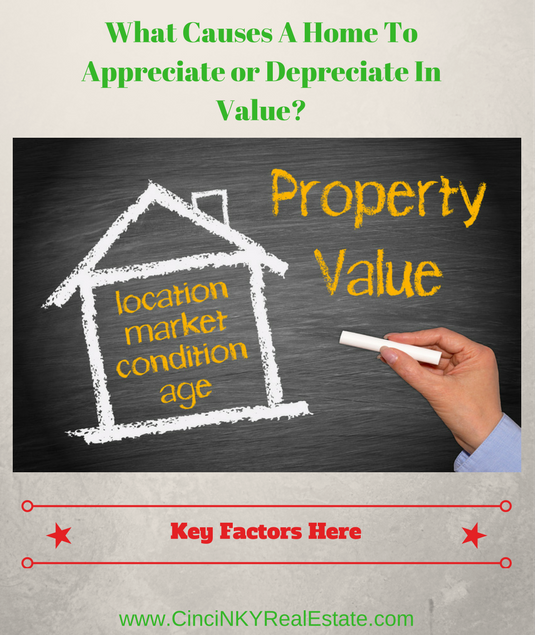 What Causes A Home To Appreciate or Depreciate In Value? There are many factors that can affect the value of a home. Some factors can cause a home’s price to increase in value whereas other factors can cause the value to go down. The factors that affect home value are not always internal to the home, external factors can also have dramatic impacts on a home value just as internal factors can. By knowing and understand what factors can impact the value of a home, homebuyers and home sellers can better position themselves in the real estate market for success. When the economy at the national and state level are running great the values of homes have a tendency to increase. With more people employed and with more access to credit there will be more homebuyers ready to move into a home. As a result this will have an upward effect on home prices. Now just because the national economy is strong does not mean the state or local economy will be strong as well. If a large local employer decides to move their operations to another area along with all the employees who work there that will result in many of those employees wanting to sell their home at the same time which can depress the price of homes in the area. 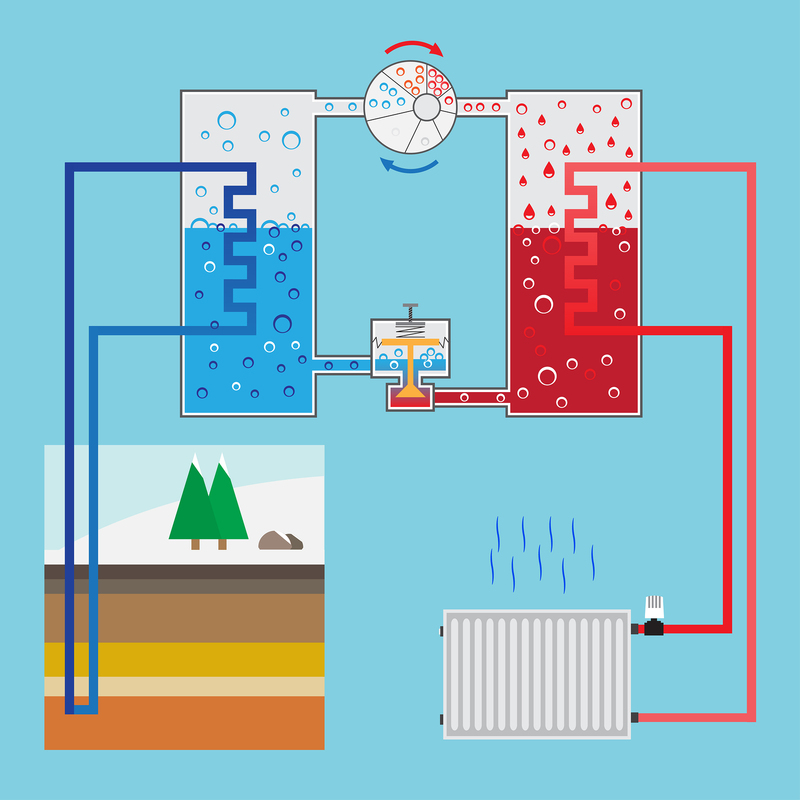 Should I Buy A Geothermal Heat Pump For My Home? 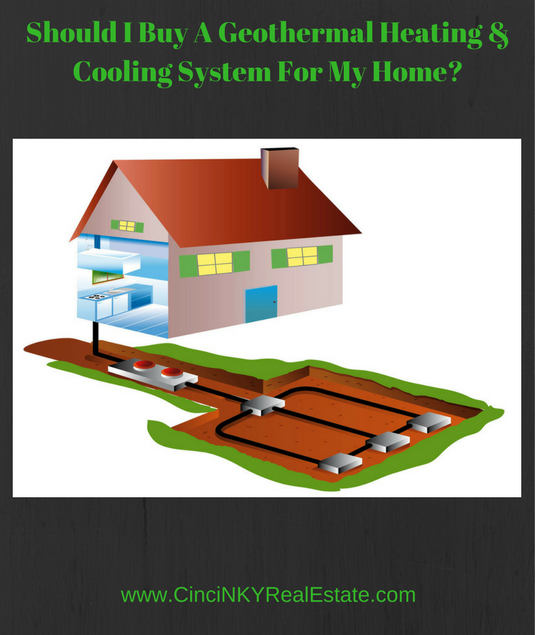 Should I Buy A Geothermal Heating & Cooling System For My Home? Geothermal Heating & Cooling Systems or geothermal heat pumps are heating and cooling systems for your home that utilize the stable temperature found below the surface of the earth. Below the surface of the earth temperatures remain relatively stable as compared to the surrounding air temperature. Depending on the location the temperature below the ground stays at a consistent 50 – 60 degrees Fahrenheit. Geothermal systems use pumps to cycle water into pipes that have been buried in a home’s yard. During the warmer months the temperature below the surface of the earth is cooler that the surrounding air thus allowing the cooler temperatures to pumped in to cool a home and in the colder months the temperature below the surface is warmer than the surrounding air allowing warmth to be pumped in to heat homes. Depending on the air temperature during the colder seasons and the overall efficiency of the home, back up heat sources such as natural gas or electric heat may be needed to supplement a geothermal system. 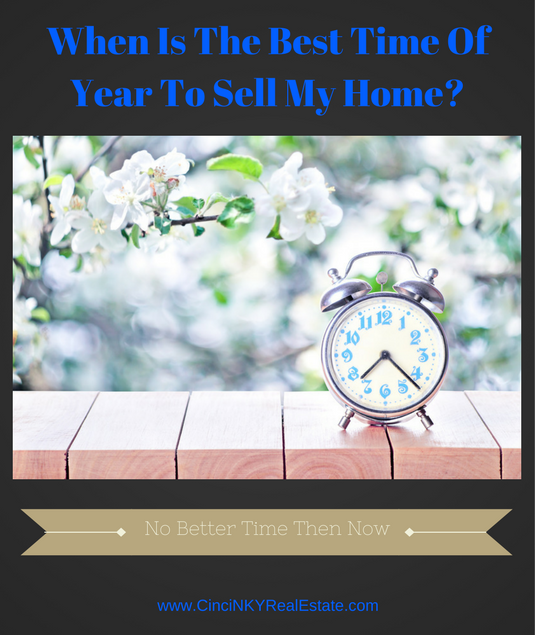 Home sellers often wonder when is the best time to sell their home? While there are many who will say now or anytime is the best time to sell one’s home there are times where homebuyers are out in full force looking to actively move. For Greater Cincinnati home sellers, the best time to sell a home is during the early to mid-spring time period. Every state and real estate location is different though and this also depends on the type of area the home is located in. A home located in a retirement community is definitely going to have a different peak buyer time as compared to a home located in a neighborhood where local schools are one of the big draws. 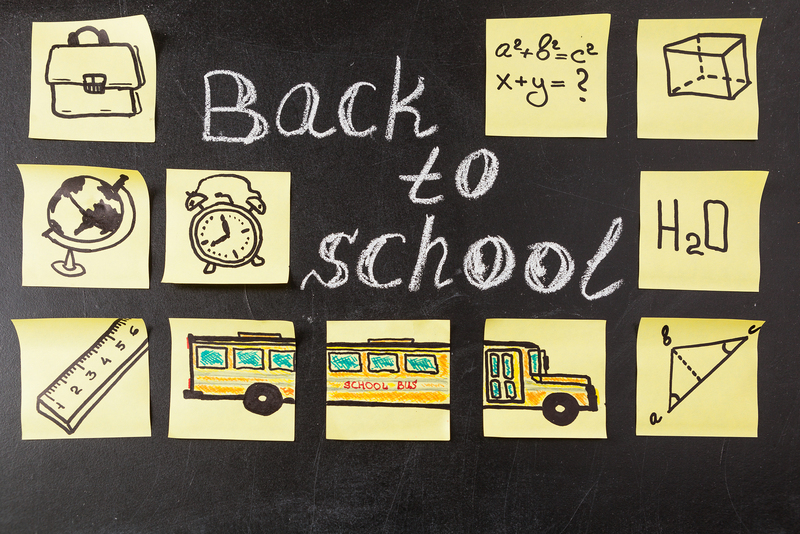 Those parents wanting to move into a new home before the new school year starts will want to buy a home in spring or early summer in order to make sure they settle in prior to the start of school. Those looking to move into a retirement community may be looking to move before the weather gets cold. Again this will entirely depend on where the communities are located. Retirement communities in Florida will be different than retirement communities in the Greater Cincinnati area due to different climates. 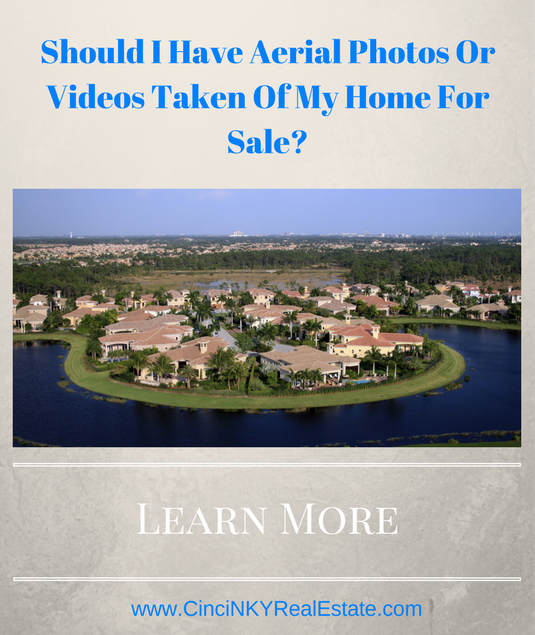 Should I Have Aerial Photos Or Videos Taken Of My Home For Sale? The latest and greatest real estate marketing techniques include virtual reality video, 3D video, high definition photography and aerial photographs and videos. Aerial photographs and videos can present an overhead view of homes and the surrounding features. Aerial pictures of a home are not necessary for every home and in some cases should be the last thing home sellers should pay extra for since it adds very little to the marketing of the home. What Kinds Of Homes Would Benefit From Drone (aerial) Photos and Videos? Homes with a few accessory features in and around the home are great to show off from above so buyers know where the pool is in relation to the main home or where the basketball court is in relation to the garage. An overhead view will also let buyers know how much land is available with a particular home. Luxury homes with plenty of land and outdoor recreation amenities are great to show off from the air. Aerial photos are not just for luxury homes but often times luxury homes have features that luxury buyers will be better able to appreciated when seen from above. Aerial photos/videos of non-luxury homes with great yards, landscaping and recreation amenities may also present well in a marketing package when done correctly. For example a water front home will show off great from above where the surrounding body of water is a sight to behold. So don’t think just because a home is not a luxury home that aerial videos are not needed.